World's Largest Golf Outing, Sign Up Today! Make sure to get your team signed up for the World’s Largest Golf Outing at Willowbrook! Here are some of the reasons to drop everything and join us for a fun filled day. 2. 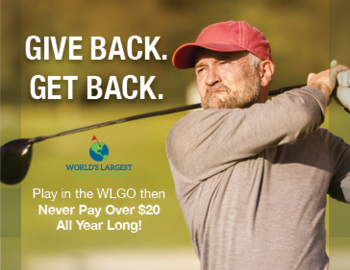 You can lock in your rate for the rest of 2015, play in the WLGO at Willowbrook and you are locked in to a $20 or less rate. 3. For only $45 you get range balls, golf, lunch, prizes and a swag bag! And $10 of the entry fee goes directly to the Wound Warrior Project and 100% of donations go directly to WWP. So we’ll see you on August 3rd at 9am!